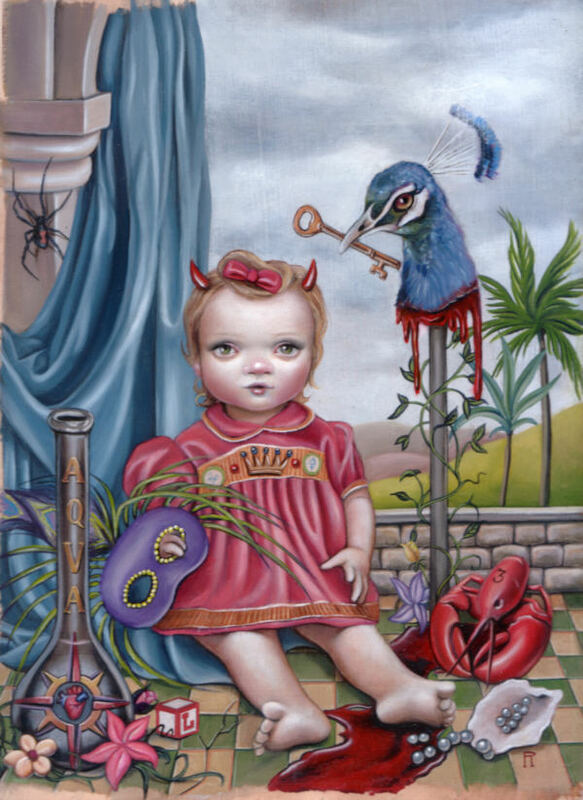 Envy, 2006, original oil painting on illustration board, 8" x 12" image area, 17 3/4" 21 3/4"
w/frame(frame not shown). Purchased from La Luz de Jesus Gallery, Los Angeles CA, 2006. Envy, original oil painting on illustration board, 8" x 12", signed lower right "R". Painting is framed (frame not shown). This is a one-of-a-kind item, one available. WITHIN THE UNITED STATES ONLY. please inquire first before placing your order.